Interested in a good design conference? Looking for an awesome UI/UX conference to visit in 2018? We’ve been searching the web and collected the most interesting, credible and affordable ones, both Europe and US. How can you choose which UI/UX conference is worth your visit? Is it designed for your level of knowledge? There are huge possibilities that you are going to end up bored and dissatisfied because organizers haven’t specified the knowledge level of sessions in the program. That’s why you need to get information about previous events, read reviews, tweets, Facebook comments, and previous speakers chart or just this article. 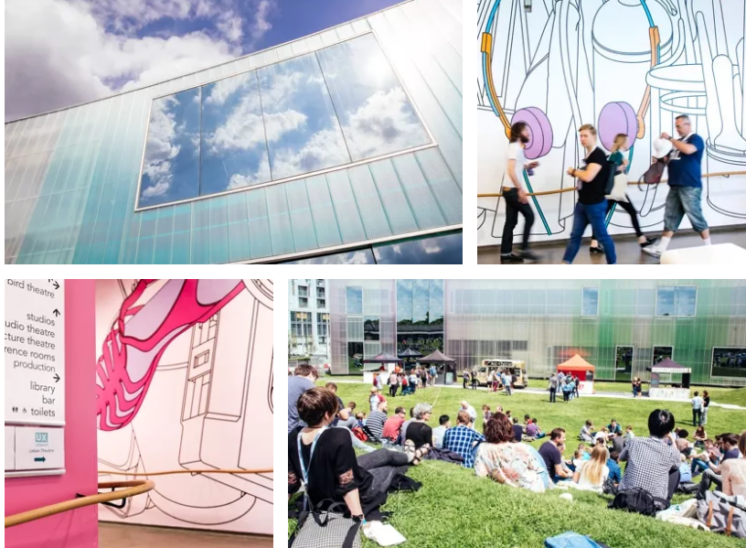 How can a design conference boost your career and knowledge? Do you need to hear success stories and experiences from others in your industry? Or do you need specific how-to lessons and workshops? The best conferences are those that offer a whole package of sessions with terrific stories. The ones that can empower your thinking and provide you practical knowledge. Does this conference suit your budget? The most expensive ones are those with the most prominent and popular speakers no matter the rest of the program. Luckily, you can find affordable ones with still quite impressive speakers on the less attractive but interesting cities and countries. Sometimes, you can’t decide or you see where your colleagues are going. On the other side, you really need to dig in and search more thorough to make that decision. Let’s see which UI/UX conferences are the most affordable, interesting and worth your time. If you are keen to learn about how product managers, creative people and other in German companies work and think, this could be the perfect opportunity. It’s a newly organized conference settled in Hamburg that offers interesting keynote speakers and plenty side events where you can really engage with other interesting people. However, it is slightly more dedicated to experienced product owners and product managers. Tickets are not so pricey and there are group discounts. If you are bored of the same conference concept everywhere, maybe you could find some new inspiration in this event. So, if you are nearby or you need a sip of new and motivational talks check out this event. Or, if you want to hear and learn something new, you can apply for workshops and have a closer look at how to run a profitable design business, develop and create practical designs and even the hand lettering. However, for this adventure, you will have to carefully measure value that you can get with more than a significant ticket price for both the conference and workshops. One of the most popular tech events in this part of Europe can make your time well spent. When we pointed out a perfect con-package, we meant this one. It’s inspiring, it can extend your knowledge and productivity, and provide perfect networking opportunities. Above all, it is the most affordable event of this kind. However, you really need to act fast because it’s a high probability that the tickets are going to be sold even before the official announcement of the entire agenda. But if not this year, set your reminder for the next one. Remarkable speakers, experienced and talented strategists, managers and designers are gathered together for this conference. This is “speaking rather than showing” type of conference, but it could be useful to hear how Netflix deals with its design and product strategies. On the other hand, networking possibilities are huge because of the popularity of the event. However, prices of the tickets are rising from month to month and organizers recommend catching the early birds. Or if you are a student or you own a startup, then you can ask for special discounts. DDD Exchange is a rarely transparent design conference where can you actually see which session is classified for which level of knowledge. You can perfectly plan your agenda and enjoy at the same time. This event is all about the latest inventions in the DDD space with the experts from the same industry. You can expect the perfect atmosphere for sharing ideas and amazing open sessions. 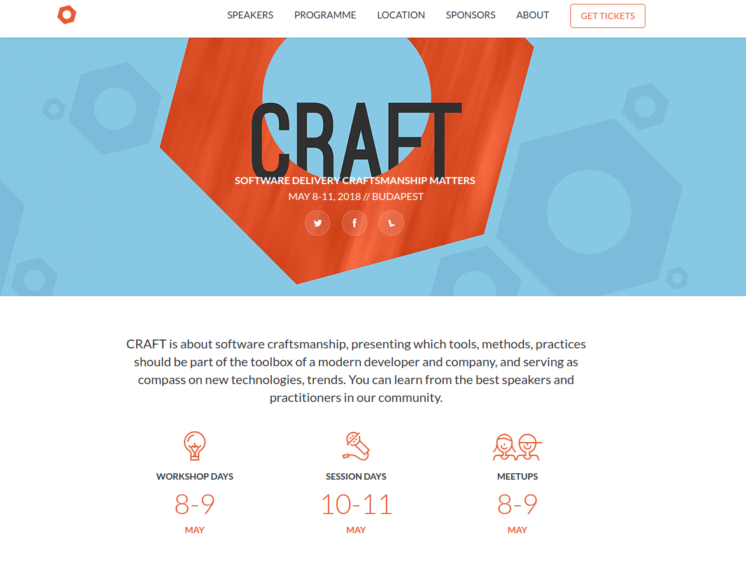 Organizers offer a weekend of web design and development talks about trends in the industry. It is not one of the buzzing types of conference, but a place where you can really find out what is actually behind the scenes at the big players in the industry. Besides plenty of keynote inspirational talks, organizers have announced a couple of interesting and through workshops on the topic of responsive design. If you seek inspiration, things to trigger you to change something in your own career, this is the place. This con brings together digital, design and everyone involved in UX community. You’ll hear how the digital impacts the design and makes the culture from it, how other designers see this and how it will develop in the future. Use this opportunity to hear what design professionals are predicting in the future within the series of sessions and seminars. If you decide to go there on time, you’ll catch affordable early birds tickets. Find out which tools, methods, and practices any modern developer or company need to know when it comes to nowadays software craftsmanship. This con gathers an impressive group of those successful in their fields, from inventors to founders and professionals in software development, design, and business in general. It is one of those events that doesn’t gather big famous names, but really valuable and experienced speakers. However, to hear plenty of useful stories you’ll have to pay not so modest ticket price. This event is small and mostly with Poland based experts, but with the highest significance for Central Europe when it comes to designing and agile methods. Therefore, it brings experienced and well-chosen speakers from both fields. The main theme of the conference is both digital and product design with an entire section for agile frameworks. If you don’t mind mostly polish speakers, you will enjoy finding out what are the trends in this part of Europe. Others describe this UX conference as a place for creamy lineup topped with the worldwide speakers. They’ve announced provocative but inspiring talks an opportunity for learning new skills in one of their 20 workshops. Above all, it’s settled in Lisbon, so you can really merge education and enjoy traveling. Get ready for 4 days of intensive training and inspirational talks with the cream of the industry. Everyone who finds designing as his expertise will be there. Mornings are reserved for influential speakers and afternoons for an interesting and useful workshop where you can actually boost your knowledge. There are great networking opportunities with more than 500 attendees from 40 different countries who will visit the design conference. Of course, mingling with experts will cost you, and therefore think about getting your special education budget in help. This conf is a mix of world famous company’s speakers such as Google, with small but successful studio’s speakers from across the Europe and USA. If you are interested in strategic approaches and service design programs, this is the event for you. All presentations are stories, useful experiences, and motivation for you to start doing something new. Besides the talk, workshops are included so you can count on motivation and useful knowledge. This con is better for group visiting which will decrease the high ticket price. Inspiration, exchange of experience and knowledge transfer across all industries are the main advantages of this event. 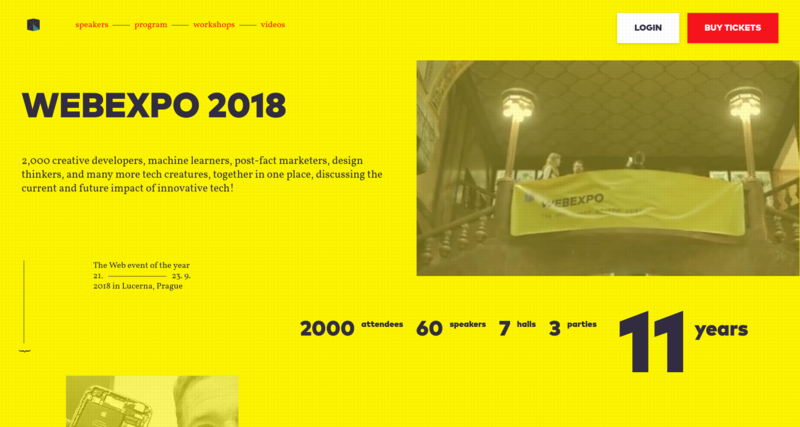 From UX designing to online marketing and business, this conference brings together more than 70 exclusive speakers, 90 useful talks and sessions, workshops and the great chance for networking. This conference is launched for creatives who want to explore the tremendous possibilities in design. Others call this conference “the biggest and coolest product design conference in Central & Eastern Europe”. Organizers offer 3 days of interactive workshops and passionate talks from the top international speakers who will talk about User Experience: multi-platform design, user research, analytics. Product Management: process, enterprise, agile, commercials, leadership, strategy. Also, you’ll have a chance to network with other young and experienced designers, share knowledge and experience. This event gathers more than 500 enterprise leaders and professionals who impact on the future trends in the product design and production. This is a great chance to become a part of the community that shapes the industry and creates trends. Not a lot of information available just yet but follow them and expect interesting speakers. This type of conference offers you a chance to find inspiration for your next project, discover knowledge that stretches your thinking in a new direction or learn from someone who has tackled a problem just like yours. You’ll have two days for that, from presentations to small sessions covering a huge range of topics and ideas. Basically, it is a community event with huge networking opportunities. This is one of the award-winning conferences that promote specific values both in topics and in a choice of speakers who are mostly exclusive. The most of previous attendees find this event as a source of inspiration, education and great networking opportunities. They call it “The web event of the year” and with a good reason. Twitter, IBM, and many other worldwide, big companies are sending their speakers. More than 70 speakers will talk about their experience, philosophy and things you could use in your career, business, and life. 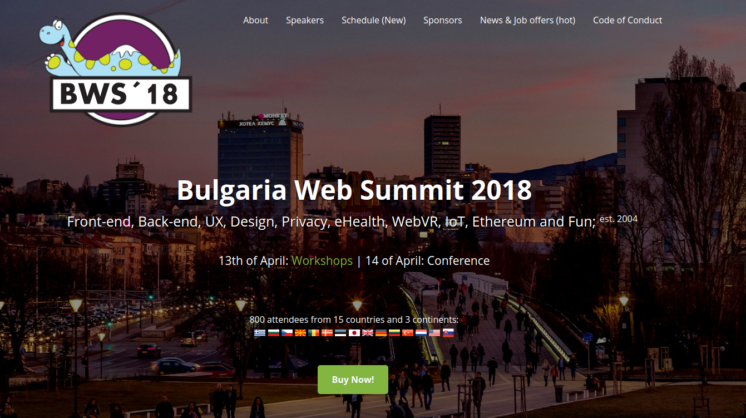 Pack that with affordable tickets in the coolest city in Europe, a chance for networking and you can call this the most useful web event of the year. Early birds tickets are no longer available even though agenda is not published yet. Facebook, Google, Netflix, and Shopify are one of the companies which product managers spoke on this con about the experience and everyday challenges they have. Don’t miss the opportunity to hear and learn more from the leading companies this year. Follow their website for program and agenda. Hope we helped you make a better decision. In the end, all depends on your personal sensibility, desires and what you aim for. Is the networking your priority or just useful workshops and keynote speakers? Do you seek for some free events and conferences or would you go to those no matter the price? 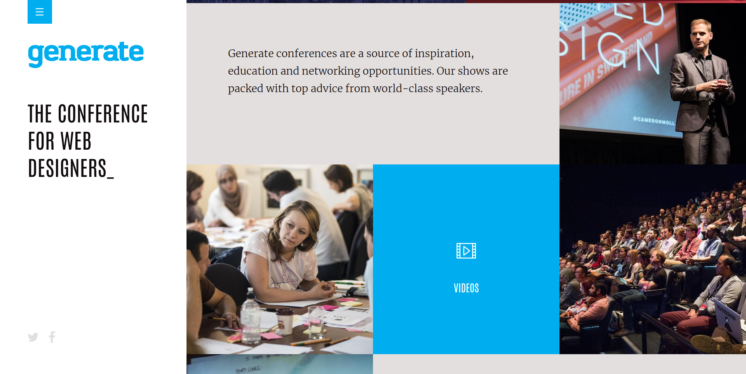 You can find the design conferences from every category we named. Good luck and have a good time. A team of 60+ developers, designers and project managers with over 10 years of experience share their knowledge and skills on everything web related. Follow our blog and stay up to date with the latest tips and tricks and industry news. and we can give birth to it together!